A month ago from today Autumn and I went to the Old Lahaina Luau in Maui to enjoy an authentic Hawaiian Luau evening filled with Hawaiian food, culture, music, and hula. Here are some of the shots I got at our fun-filled evening. 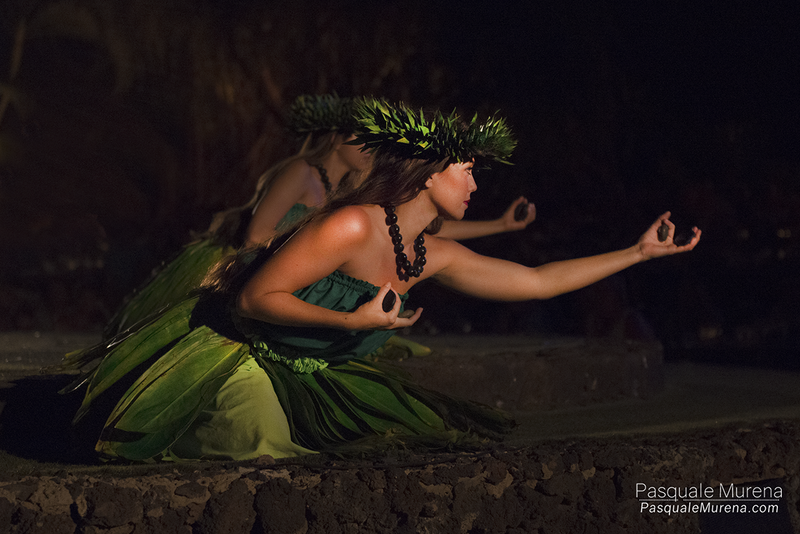 Traditionally, hula dancers wore skirts, known as pa`u and were made of bark cloth. 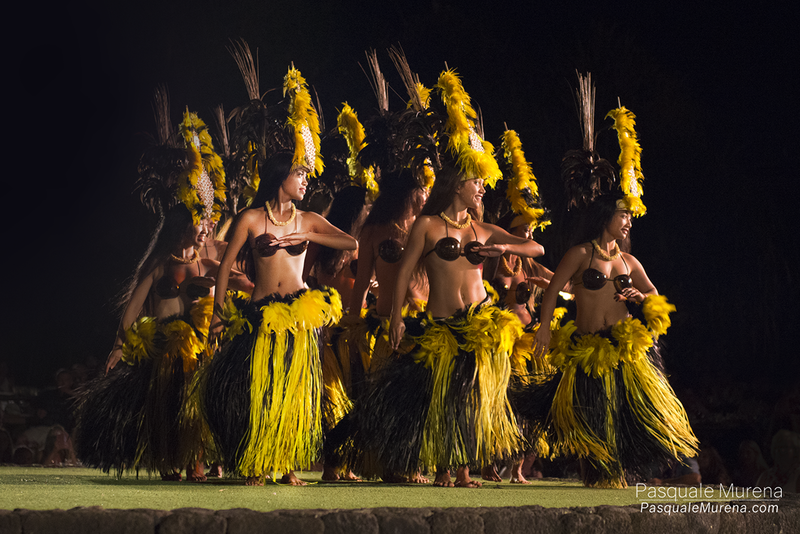 Modern hula dancers may wear skirts made from woven cloth with dyed, painted or silkscreen designs. These yellow outfits shimmered in the spotlight as they danced. 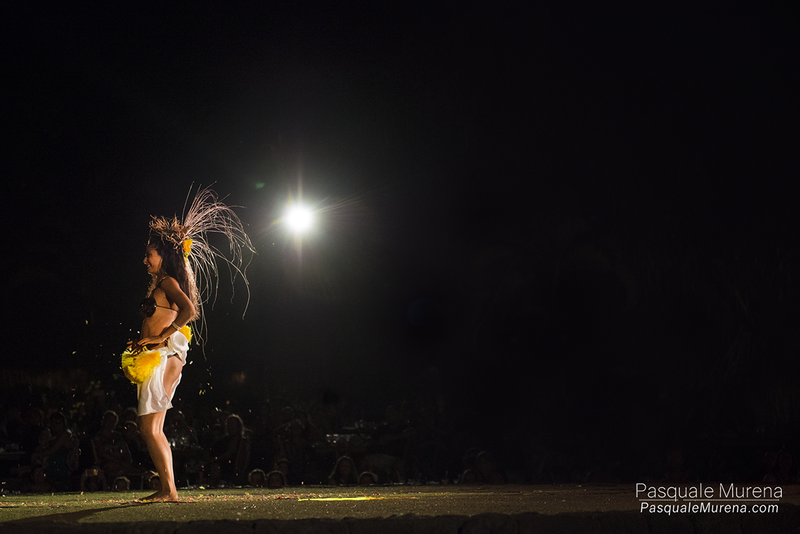 Here a hula dancer performs a traditional dance in a solo performance. 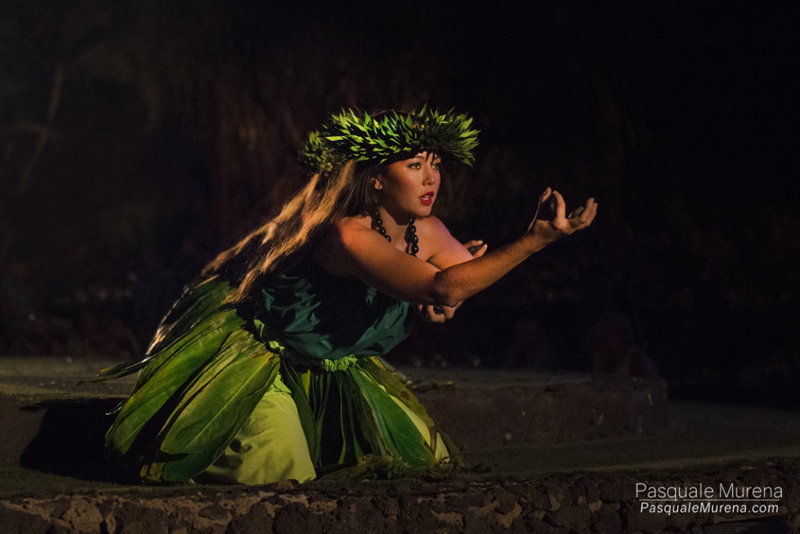 A hula dancer performs a traditional dance called, hula ‘ili’ili, with smooth river stones. The stones are stones tapped together as part of the rhythm and the dance to create a beautiful performance.